Hey there folks! 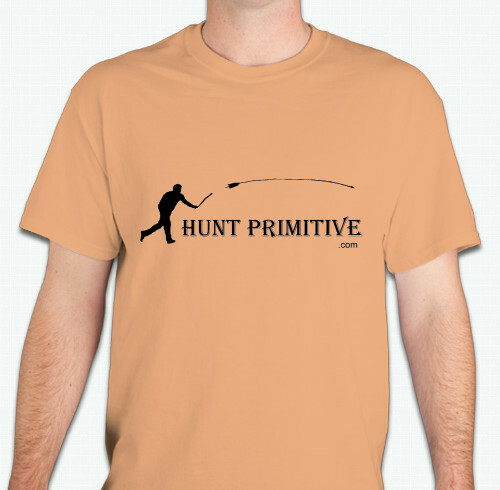 and welcome to the ever expanding pages of HuntPrimitive and the NEW HuntPrimitive Archaeology Division. 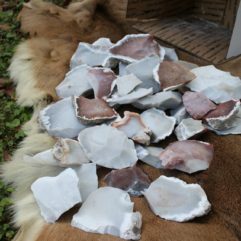 Professional Builder & Hunter Ryan Gill has teamed up with Archaeology PhD candidate Morgan Smith of Texas A&M to implement and fill gaps in the Archaeological record. 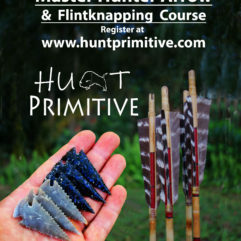 Never in this capacity has a proven successful stone age hunter been paired with a scientist to uncovered plausibilities in actualistic, experimental archaeology. We will treat this sort of like a blog and update you from time to time about our upcoming projects and successes. We have multiple experiments underway as we near completion of our Dalton Bison Experience (Coming Summer 2019) where we took a bull bison down with a Dalton tipped atlatl. Both video content and data were meticulously gather and is currently undergoing both post production editing and edge wear analysis back at the lab at Texas A&M University. Check back and scroll down to see updates on our ground (and stone) breaking experiments! We also urge you to click this link and check out how you can help support our mission to bring archaeology back to life like never seen before. We have free to watch documentary style films underway to share our discoveries with you! Please consider becoming a patron to our mission of bringing Entertainment, Education, and Inspiration to both science and the public. Support us by clicking here!